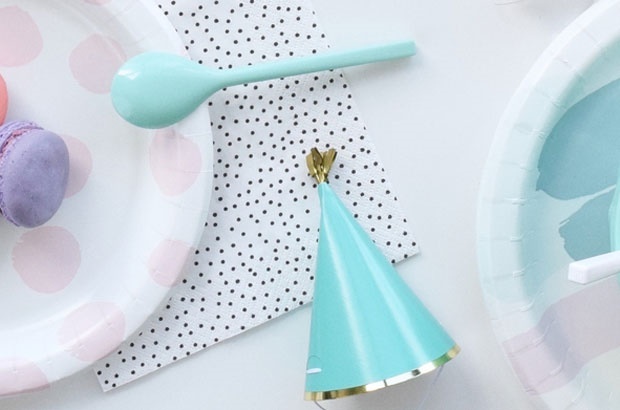 For her very first birthday, your baby won't appreciate extravagance and less is definitely more at this age! There are a few special circumstances to keep in mind. Remember that she's still little and can easily be over-stimulated. So keep her first party intimate, set a time limit and keep the catering simple. 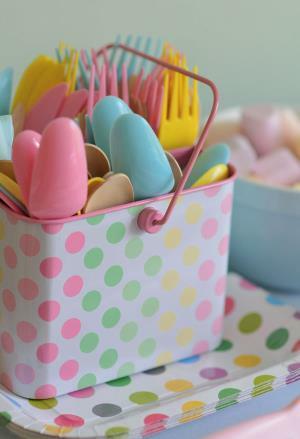 We've chosen pastel polka dots for our first birthday party theme. 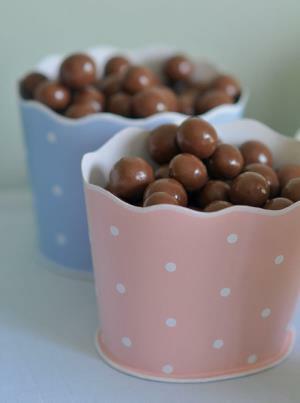 You can have such fun with the food and dceorations, choosing anything round. 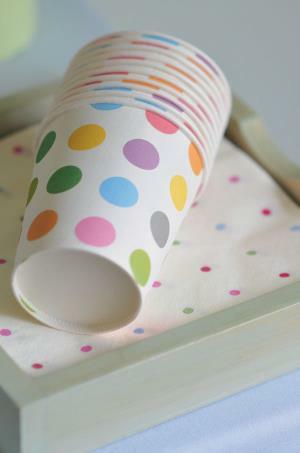 Polka dots are very versatile, as it works as a theme for boys and girls. Every party should have fun foods that are not on the menu every day (that's the cue for sweets and chocolate), but we also firmly believe that every party should have fruit and vegetables as well. And these don't have to be boring! 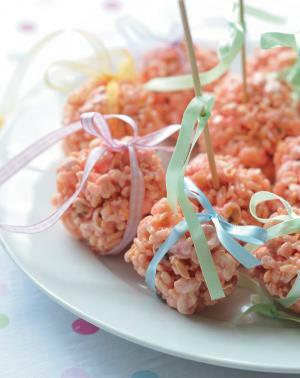 Use a melon baller to scoop balls from a variety of foods. We used spanspek, watermelon, melon, paw-paw, mango and pineapple. You can ask your local fruit shop to do this for you. 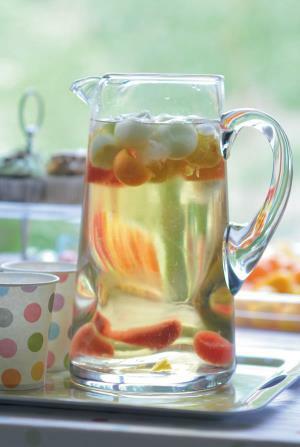 Serve jugs of water with ice and fruit balls to quench everyone's thirst. 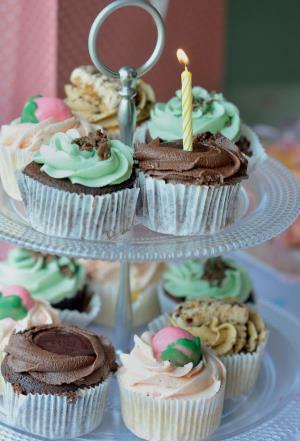 Cupcakes are an ideal first birthday cake, because they're not too big for your little one to handle. This might also be the first time she'll eat cake, so keep portions (and the mess) small. 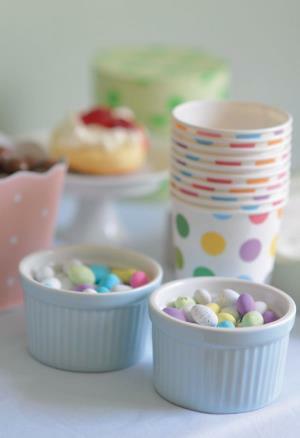 We got our cupcakes from www.ilovecupcake.co.za, but you can make your own or buy ready-mixes. In a very large saucepan, melt the butter and marshmallows together over low heat. Add the popcorn and mix well. Remove from heat and cool a little until easy to handle. Rub a little butter or sunflower oil on your hands and roll the mixture into balls. Place on wax paper to cool further. When completely cooled, tie a pretty ribbon around each ball to form a little "handbag", or stick a sosatie stick into each ball to form a lollipop. We love hearing from you! 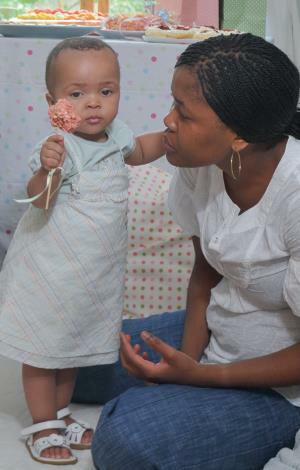 Send us your birthday party photos and stories to chatback@parent24.com and we may publish it on our website.